When Rolls Royce announced that they were entering the SUV market, many of us were concerned, wondering whether the iconic luxury brand could conquer a market that was completely new to them. But the result was incredible, with the birth of the Rolls Royce Cullinan marking defining times for the British brand. Having been the chosen car at a recent royal wedding, the Cullinan is a highly in-demand vehicle, with Rolls Royce well and truly dominating the luxury SUV division as a result. But, according to sources, Rolls Royce are struggling to keep up with demand, not being able to create each, bespoke vehicle in enough time for customers. Considering that each of these cars cost a quarter of a million pounds, it appears the woes are Brexit are not really impacting Rolls Royce. While being unable to supply at the rate in which they wish, an influx of sales and interest is certainly a nice position that many car manufacturers do not find themselves in. “I would like to have a little bit more supply,” Rolls-Royce’s US CEO Martin Fritsches told. If, like us, you are huge fans of Rollers, then you may want to explore your many options when it comes to Rolls Royce hire. Here at Limo Broker, this is our forte, being the UK’s go-to company when looking to rent a Roller of any model or age. So, if you are looking to rent a Rolls Royce Ghost, Wrath, Phantom or even one of these famous Cullinans, search, compare and book your car on this very site. Here at Limo Broker, we are thrilled to share our exquisite range of cars with the prom kings and queens on the UK, providing luxury transport hire to suit all tastes and budgets. But, there are certainly a few stand-out classics; go-to prom cars that people have always enjoyed. These are Lincoln Towncar Limousines, Rolls Royce Phantoms, Bentley Arnages and the likes. However, in recent months, we have noticed a growing appetite for prom supercar hire; vehicles that look the part and help promgoers make an impact on that all-important arrival. So, if you are exploring your prom car hire options for this year’s prom season, Limo Broker can certainly help. Below are just a few vehicles many of our nation’s school-leavers are utilising. Being synonymous with modern travel, the Lamborghini Aventador is an iconic, highly-desirable supercar. Able to be hired for an hour, a day or even the weekend, our range of Lambos is unparalleled. Looking for a classic, recognisable high-powered prom car? 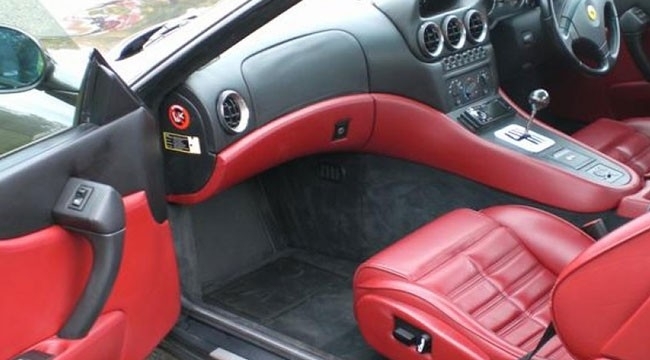 If so, the Ferrari Maranello is one for you and your friends, boasting a great deal of respect when out on the road. Prom kings and queens are opting to hire the traditional red model, allowing them to be the centre of attention when pulling up to the prom venue. Working with cutting-edge technology and capable of speeds that surpass the 100mph mark, it is understandable why people want to travel to and from their prom in an Audi R8. If you are struggling to find the prom car hire package to suit your needs and budget, then we would be more than happy to help. Contact our friendly team of advisors today and learn more about the options available to you and your friends. To celebrate the Lunar New Year, Rolls Royce has unveiled brand-new versions of some marques within its fleet. This includes the Ghost, Wraith and Dawn; all of which have been uncovered over the weekend. The special editions feature exterior colours of Aurum, Mugello Red and Diamond Black. The vehicles have also been adorned with a Rolls-Royce Year of the Pig badge and Lunar New Year embroidery on the headrests. All three cars have been hand-crafted in the home of Rolls-Royce at Goodwood. Mandarin Oriental Hotel Group has partnered with Rolls-Royce to celebrate New Year. The hotel will offer various packages; one including special access to a red Rolls-Royce Cullinan SUV throughout February 8th. Chauffeuring the rides at the Mandarin Oriental hotels in Boston, Miami and Washington D.C will be Rolls-Royce white-glove product specialists. There will also be an opportunity for guests to experience a Cullinan in Magma Red with a tan interior. Guests in Boston will have the chance to take a ride in a Scala Red Cullinan with Black and Mugello Red interior. Rolls-Royce is said to be developing a new version of the famous Ghost. In a recent statement, the brand suggested that the Year of the Pig Ghost could be one of the last in the current format. What do you think of Rolls Royce’s Chinese New Year vehicles? Let us know in the comments below! If you are a horse racing fan then you will no doubt be excited for the upcoming Cheltenham Festival; a high-profile meet that welcomes some of the best race horses, jockeys and trainers to the beautiful Gloucestershire countryside. The four-day event will kickstart on the 12th March, seeing fans from all over the world make their way to the famous racecourse. Here at Limo Broker, we are thrilled to be transporting sports fanatics to and from Cheltenham this year, offering a range of early bird deals right now! In recent years, we have found limo hire to work well for large groups going to the races, being luxurious, spacious and more importantly; affordable! From stunning 8-seater Lincoln Towncar Limousines to Hummer Limos that seat up to 16 people at once, whatever limo you choose, it will be sure to enhance what will already be a glorious day. While you may stumble across many companies offering limo rental for Cheltenham Festival, it’s important to keep the gambling for the races themselves, not your transport. If you want your day to run smoothly, then opting for a trusted, reputable limo provider is a must. This is something you can access through LimoBroker.Co.Uk; a place to search, compare and book limos 24 hours a day! Only working with limo hire companies that we have vetted and verified, our aim is to exceed your expectations when it comes to luxury transport. Don’t fancy a limo? Not to worry! We can also provide you with competitive rates to hire some of the world’s most exclusive chauffeur cars, SUVs and super cars. So, whether you wish to arrive at the racecourse in a Range Rover Sport, Rolls Royce Phantom or drive yourself there in a Ferrari, we can make that happen. From the classics to the new, economical SUVs, Rolls Royce boast a stellar reputation for creating fine cars. As a result, their fleet has been adopted by the wedding industry wholeheartedly, with their vehicles proving to be the most stunning, reliable wedding cars on the planet. Having shared our fair share of Rolls Royce wedding cars in our time, we have gotten to know what types of Rollers work for certain types of weddings. If you find yourself on the search for Rolls Royce wedding car hire, then below we have profiled our top picks. These are cars that stand out amongst the best! Being the frontman of the Rolls Royce collection, the Rolls Royce Phantom is just stunning. Being large in size with its extended wheelbase, it is spacious, elegant and turbo-charged! The Rolls Royce Ghost is a 4 seater Sedan that UK brides and grooms are enjoying on the most important day of their life. With a more modern, younger feel, the Ghost is slightly more compact yet equally as beautiful as the Phantom. On the search for something a little more traditional in style? If so, why not ride to your wedding in a historic car; the Rolls Royce Silver Cloud. Made from 1955 to 1966, the luxury automobile is a limited edition; one that is the epitome of fine travel. 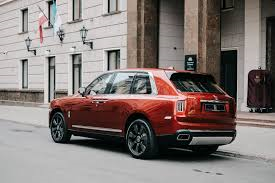 Last, but by no means least, we have the Rolls Royce Cullinan; the latest creation from the British carmakers. Referred to as ‘the world’s first super-luxury all-terrain SUV’, this car is great for tackling the unpredictable British weather! 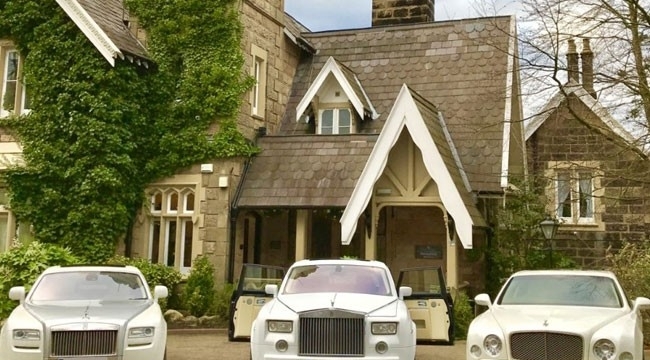 If you wish to reserve any of the above vehicles for your big day, then you can do so on LimoBroker.Co.Uk; the home of luxury transportation.